Think you’re better at retro games than everyone else? Specifically, do you reckon you can take on anyone over a series of popular Mega Drive games and still come out on top? 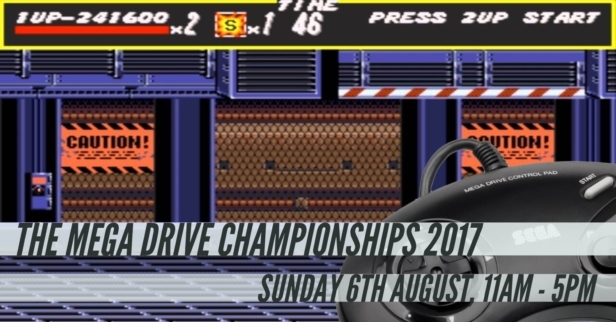 If so, you might want to head to the National Videogame Arcade in Nottingham on Sunday 6th August, as the Mega Drive Championships will be held there. The Mega Drive Championships is a small but long-running tournament pitting the best European Mega Drive players against each other for the chance to earn the glorious trophy, which lets everyone know that you can beat them at 16-bit games. The current holder is Jay Townsend, who took 2017s trophy during a Streets Of Rage final round showdown. If you want to attend, the event is scheduled to run from 11am – 5pm and entry costs £10. Information on the National Videogame Arcade can be found by clicking here, and information on the Mega Drive championships can be found by clicking here.